Even though I'm living in Belgium, I'm oblivious to a lot of their holidays - if nobody tells me that I'm supposed to be celebrating something, I won't know. So, sitting at work today, my co-worker asked me "are you going to make crepes tonight?" I said, "No, wasn't planning on it, why?" Apparently, today is La Chandeleur, which is the Belgian / French celebration of the passing of 40 days after the birth of Jesus. It used to be a pagan holiday, but the Pope decided to "Christianize" it in the 5th century. People would parade in their towns holding candles to honor the holiday. "Chandeleur" is derived from the word "chandelle", which means "candle" in French. 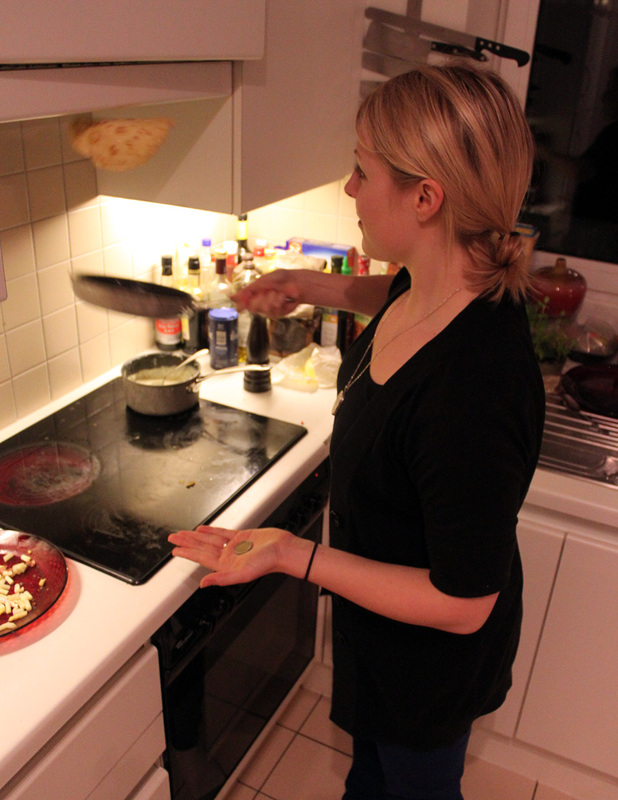 The tradition is that you make a bunch of crepes, hold the pan in one hand and a gold coin in the other. 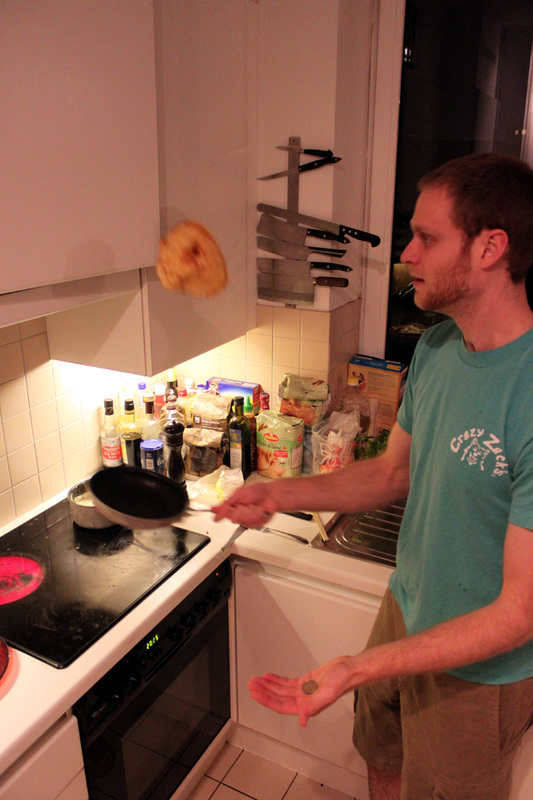 If you complete the one-handed flip, you have good luck for the year! I like a good challenge and I love to eat, so this definitely made my to do list tonight. I tried to use as many Belgian items as I could: Belgian Milk from the Ardenne Mountains, Chimay cheese (the emmental is from Holland - close enough), white asparagus, and naturally cured Belgian ham. 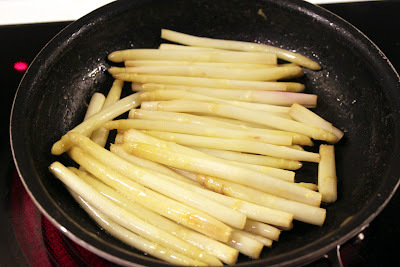 Saute your white asparagus in a little bit of butter in a pan over medium heat until they are cooked (about 3 minutes). Chop the asparagus loosely and place them on a plate. In the same pan (why mess up 2? 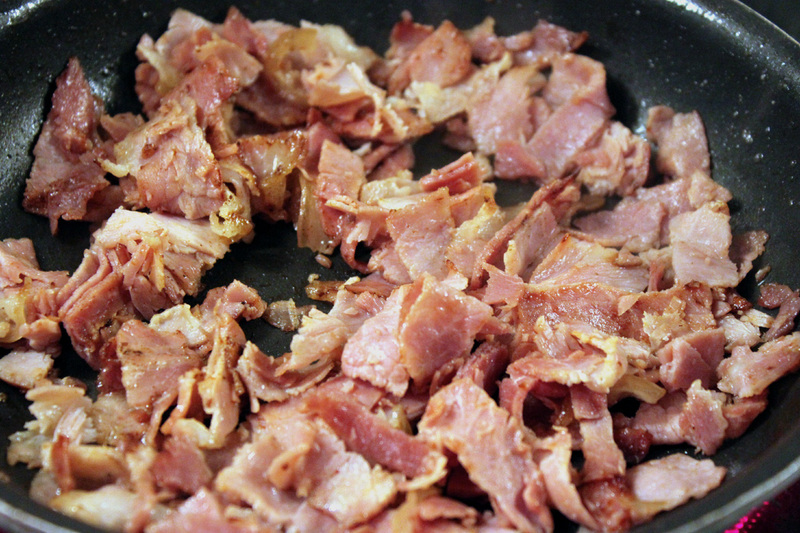 ), chop some ham up and brown that as well. Place it onto the same plate. Now it's time to make your crepe batter. You make crepes in the similar way that you make pancakes (they are pretty much the same thing, crepes just have a thinner batter). 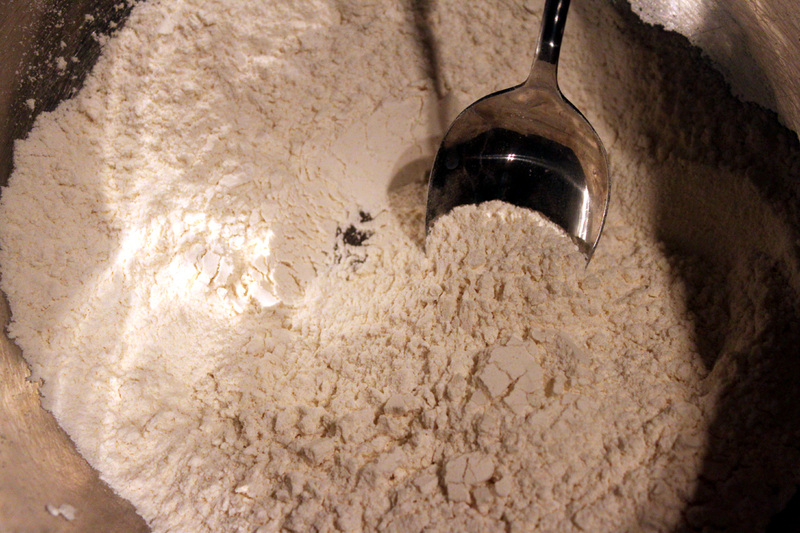 In a large bowl, sift together your flour, baking powder, salt, and sugar. 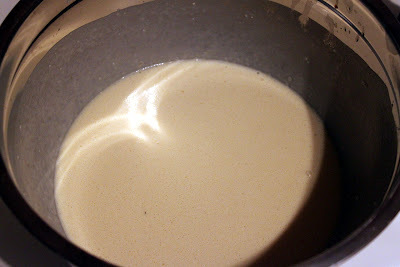 Then add in your wet ingredients: the eggs, milk, melted butter, and vanilla extract. Stir it all up and set it aside. You need to make a quick mornay sauce before you can start cooking your crepes. In a small sauce pan, melt 2 T of butter. 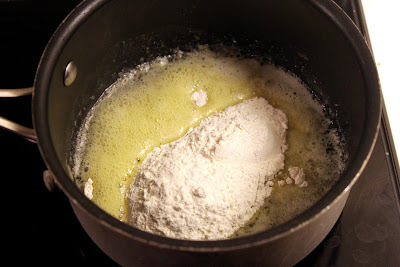 Add in 2 T of flour, whisk it together and cook for 2 minutes. Add in the milk and stir until combined. Your sauce should be thick and a little bit hard to stir because of the flour. 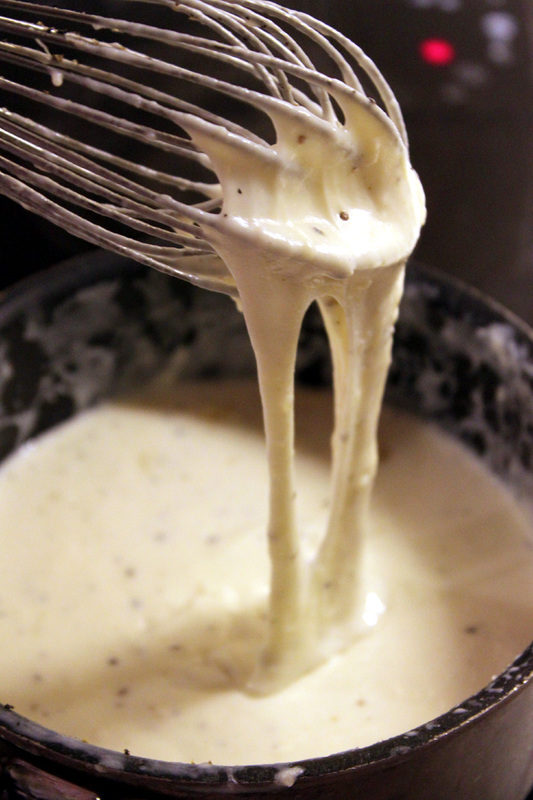 Dump in both cheeses and stir. Grind in some fresh black pepper for flavor. Heat up a non-stick pan on medium and coat lightly with butter. Cook for 2 or 3 minutes until the bottom is lightly browned (you can check by lightly lifting up the edge.) Wiggle the pan around until the crepe is loosened. Grab the coin in your left hand and attempt a flip! If you land the flip, you have good luck for the year! 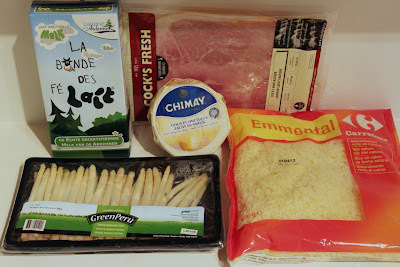 Once it's flipped, add your ham, asparagus, and mornay sauce and roll up both sides. 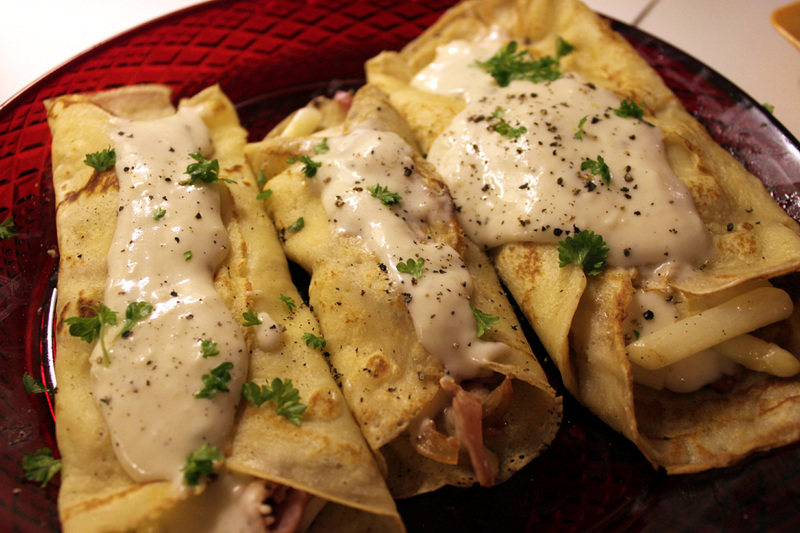 Plate the crepes and sprinkle with some chopped parsley. If you are in the mood for something sweet, instead of adding the savory ingredients, add a dollop of Nutella. 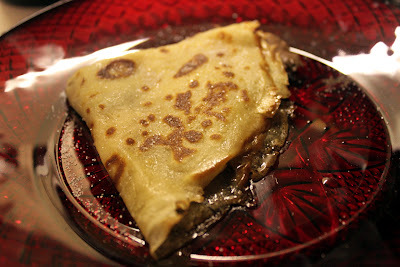 Fold the crepe over itself twice so it's in a quarter. 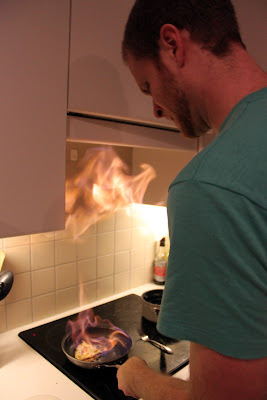 Pour 1 T of Cointreau into the pan and carefully light it on fire. Shake the pan lightly until the flames go out. Sprinkle with a little bit of granulated sugar and enjoy!